This year will be a busy one for Mekon and Waco Brother, artist and producer, collaborator and soloist, father and husband, Jon Langford, as he prepares for a national tour supporting the release of a brand new solo album Gold Brick (ROIR), takes his multi-media performance piece, The Executioners Last Songs (commissioned by the National Performance Network), on a national museum tour (including Chicago's Museum Of Contemporary Art and Minneapolis' Walker Art Center) and publishes Nashville Radio, the first collection of his art and writings, through Verse Chorus Press. Are you thinking what we're thinking Yup. 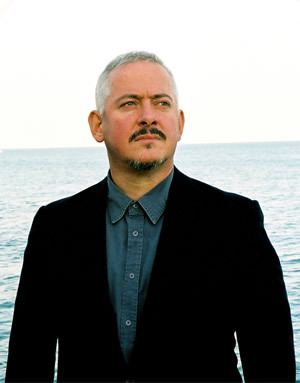 Jon Langford is a true Renaissance man. His possibilities certainly seem endless, his creativity without bounds. The enclosed notes and biographical information will explain a lot, but if you prefer, just pop in his latest, Gold Brick (or Lies of The Great Explorers or Columbus at Guantanamo Bay), and soak up the grandeur of a man who has been making fun, important and relevant music for the past three decades. Boasting a truly wide range of sounds and influences everything from tinkling saloon piano atmospherics to roots reggae rhythms Langford has created a rich, epic album to help him kick off what looks to be a very busy 2006.